Feel how your senses burn. Ahead full of intense sounds and sensations is very hot. However, this heat creates a composed whole – it is not chaotic and that’s what amazes the most. 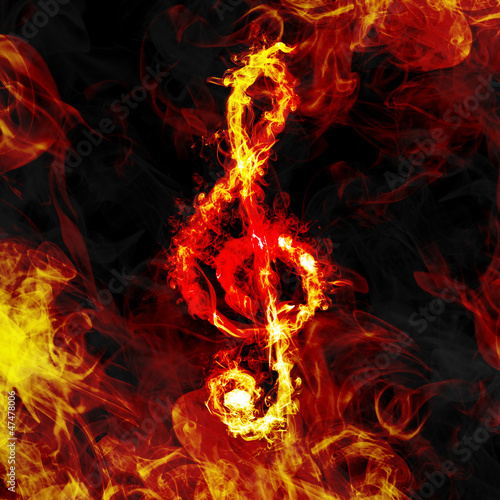 A photo wallpaper with a fiery treble clef can be you entry to the individual interior. Let the symbol of music make miracles.